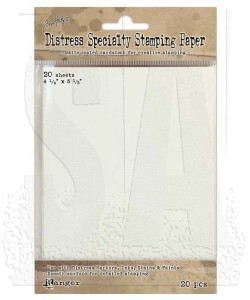 Distress Stamping Paper is an ideal surface for Distress Inks, Stains, Markers and Paint. This unique, matte coated paper holds up well to a variety of light, water-based techniques and offers a smooth surface for blending and coloring. 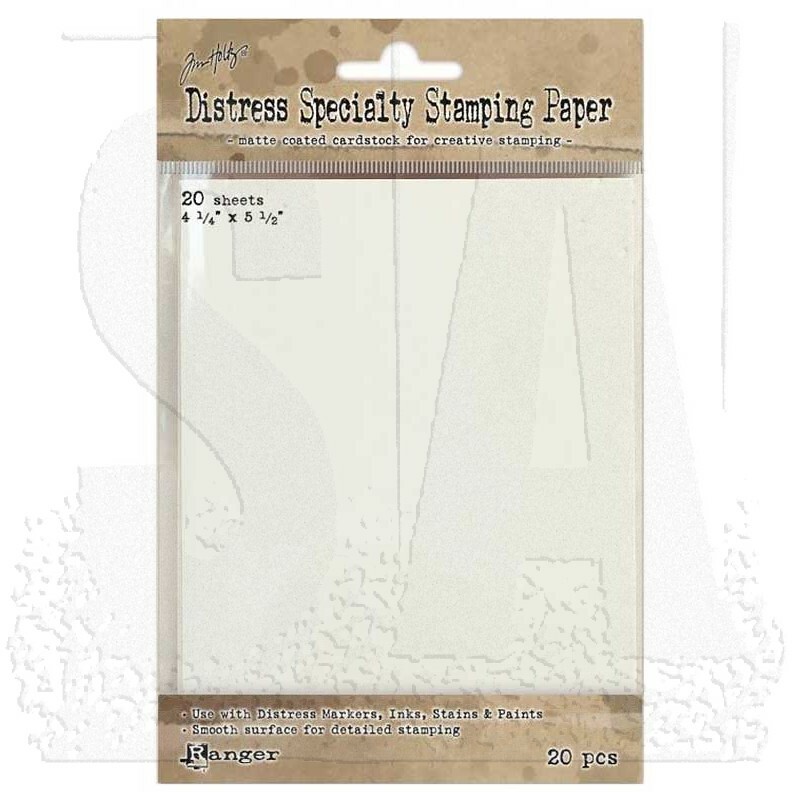 Package contains twenty sheets of 4 1/4" x 5 1/4" Distress Specialty Stamping Paper.